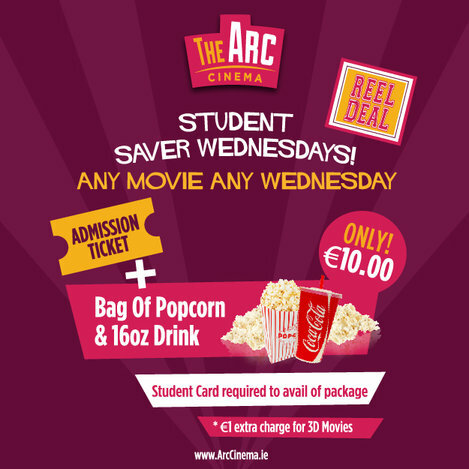 Join us on Sunday evenings at The ARC Cinema for Sweet Cinema Sundays! 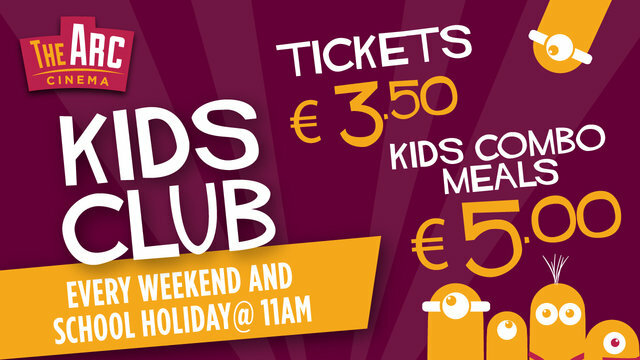 Admission ticket, regular popcorn & a regular soft drink ONLY €15. Feeling extra peckish? 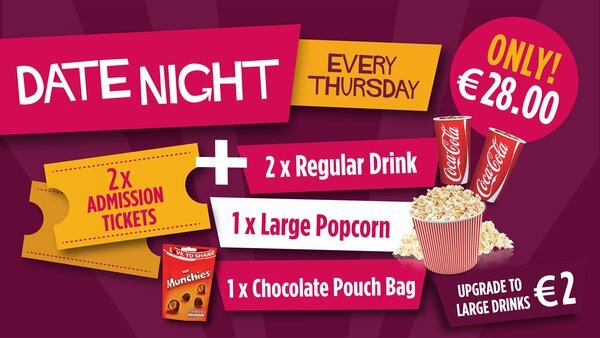 You can upgrade your popcorn and drink to LARGE for only €1! We haven't forgotten about all you chocolate lovers out there - a bag of chocolate sweets is only €2.50 extra. 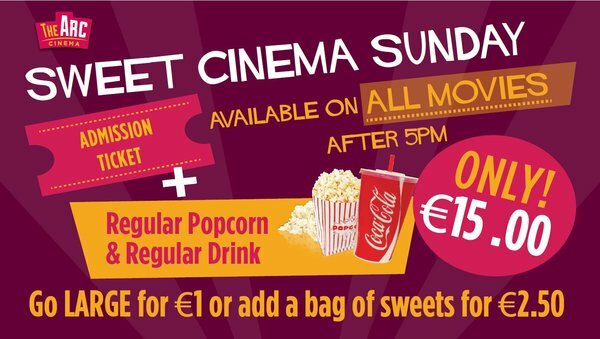 Sweet Cinema Sundays is available to purchase online. Jamie Dornan and Dakota Johnson return as Christian Grey and Anastasia Steele in Fifty Shades Darker, the second chapter based on the worldwide bestselling "Fifty Shades" phenomenon. Expanding upon events set in motion in 2015's blockbuster film that grossed more than $560 million globally, the new installment arrives for Valentine's Day and invites you to slip into something a shade darker. ARC Cinema Parent & Baby morning in association with Mumstown Ireland - Wednesday 11th January! Join us for discounted tea/coffee from 9.30am in Insomnia Drogheda Town Centre followed by a baby friendly screening of PASSENGERS starring Jennifer Lawrence and Chris Pratt at 10.30am. These adjustments are designed to ensure that customers with sensory difficulties and their families and friends can enjoy a cinema experience together, in a suitable environment. Tickets can be pre-booked either online or at the cinema "Eats & Treats" counter, or can be bought on the morning of the screening. Take That, the UK’s most successful live act ever, confirmed today that their acclaimed live show which kicked off in Glasgow on 27 April will be broadcast live to cinemas on 19 June from London’s iconic O2 arena. Captured in stunning HD and with incredible Surround Sound, this is an extraordinary opportunity for fans who have not had access to the live show (and for the many who already have) to experience the concert in the comfort of their local cinema and “from the best seat in the house”. Take That are defined by some of the most memorable and spectacular live productions in UK music history and this show is certainly no exception. A wonderful colorful explosion, with everything from dancing jellyfish, beautifully choreographed puppetry and a contemporary dance routine performed by Mark and Howard to a flying tandem sidecar that soars out over the crowd, a burning globe, pyros, fireworks and indoor rain. ‘This is the first time we’ve done something on this scale so it’s going to be a really special night for us. It’ll be a really exciting to have so many of our fans from all over the world all together watching the show. We’ll be thinking up some surprises to make it a very memorable occasion for everyone.” Take That. These adjustments are designed to ensure that customers with sensory difficulties and their families and friends can enjoy a cinema experience together, in a suitable environment. Tickets can be pre-booked either online at here or at the cinema "Eats & Treats" counter, or can be bought on the morning of the screening. 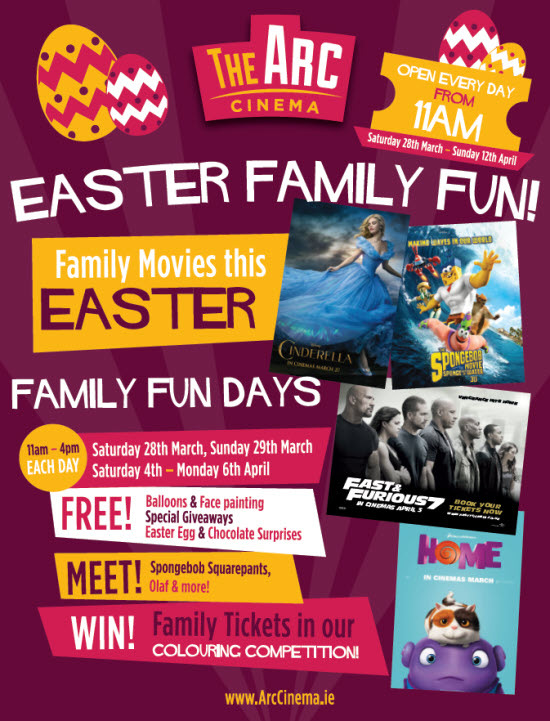 Easter Family Fun at The Arc Cinema! 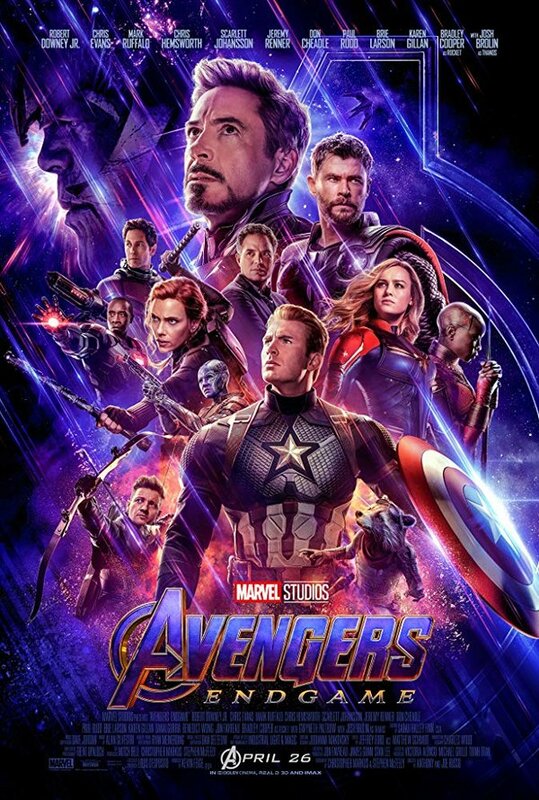 We've got a lot on at The Arc Cinema this Easter, to help you keep occupied and entertained during the two week school holidays. We have fantastic Family Fun Days from 11am to 4pm on both weekends (Sat 28th & Sun 29th March and Sat 4th - Mon 6th April) with face painting, balloons, character meets, competitions and giveaways. Al always we have fantastic new releases including Cinerella, Spongebob Squarepants A Sponge Out Of Water, Home, Fast & Furious 7 and more! 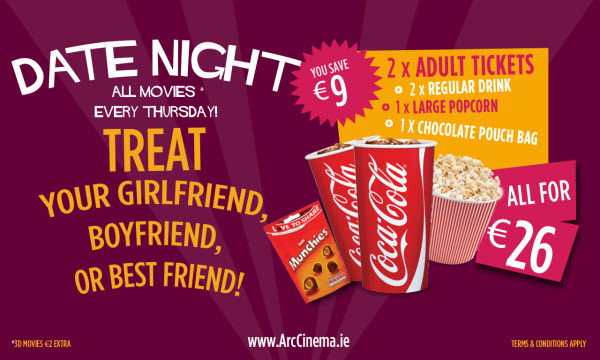 So save yourself €9, and have a great night! 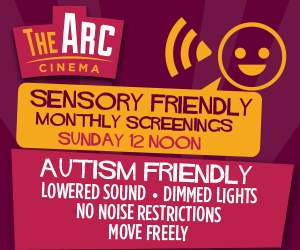 The Arc Cinema is delighted to arrange two Sensory Friendly Screenings this Christmas break. January 4th 12:30 - Special preview screening of Disney's amazing Big Hero 6 2D (G). Big Hero 6 releases on January 30th, however The Arc Cinema is running previews in 2D and 3D for one day only on Sunday January 4th. 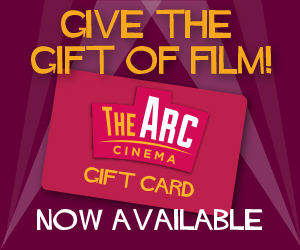 The Arc Cinema Gift Cards Now Available! Our new Gift Cards have arrived in time for Christmas! These adjustments are designed to ensure that customers with sensory difficulties and their families and friends can enjoy a cinema experience together, in a suitable environment. Tickets can be pre-booked either online here at or at the cinema "Eats & Treats" counter, or can be bought on the morning of the screening. The Arc Cinema is delighted to announce that its first Parent & Baby screening will take place on Wednesday October 8th at 10:00am with Gone Girl . These screenings are a tiny bit different to standard screenings, in order to make it more comfortable and enjoyable for parents with young babies. During the film the auditorium is lit at a dimmed level (so not in total darkness). The sound level is reduced a little. Parents can relax in comfortable rocker seats with supportive arm rests making them ideal for holding, feeding or cuddling baby while the movie is on. Tickets can be bought online here or at the "Eats & Treats" counter at the cinema, either in advance or just before the screening. 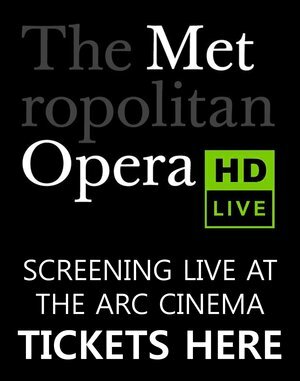 The Arc Cinema is delighted to announce it will be showing the 2014 / 2015 season of Ballet National de Paris live events, starting with The Nutcracker & Fetez La Danse on Thursday December 18th 2014. Online booking will soon be available for this event! This season, Ballet National de Paris, the wonderful company at the heart of the great French Ballet Tradition over centuries, presents three ballet delights over two evenings, live by satellite from their spectacular home at L’Opera de Paris to venues all over Ireland. At Christmas, the perennial family Christmas favourite, Tchaikovsky’s Nutcracker, comes direct from Paris. paired with the addition of a programme of great ballet show piece highlights - Fetez la Danse – designed to showcase the extraordinary talents of the company’s principal dancers and their magnificent Corps de Ballet. A perfect treat for all the family. At the other end of the season is the company’s magnificent production of ‘Lhistoire de Manon‘. With glorious music by Jules Massenet (based on his opera) this is one of great the romantic stories in Dance – with dramatic, impassioned choreography for the two romantic leads at the heart of this great love story. In a sumptous production, it promises an unforgettable evening of dance and romance. This Christmas, Ballet National de Paris has paired the great family seasonal favourite, Rudolf Nureyev’s version of Tchaikovsky’s Nutcracker, with a dazzling programme of great ballet showpieces - Fetez la Danse. The charming Christmas story of the little girl who is rescued from the Mouse King by an army of toys coming to life from under the Christmas tree, always leaves audiences wanting more. This time, encore after encore is provided in Fetez La Danse: the presentation of great ballet highlights designed to showcase the extraordinary talents of the companys’ principal dancers and their magnificent Corps de Ballet. These adjustments are designed to ensure that customers with sensory difficulties and their families and friends can enjoy a cinema experience together, in a suitable environment. Tickets can be pre-booked either online at Boxtrolls Sensory Friendly Tickets or at the cinema "Eats & Treats" counter, or can be bought on the morning of the screening. In preparation for our opening, we've been delighted to give away some great prizes. To date, we've given away 4 sought after Golden Tickets with just one left to give away. Meet our winners by checking out our Competition Winners page on Facebook. 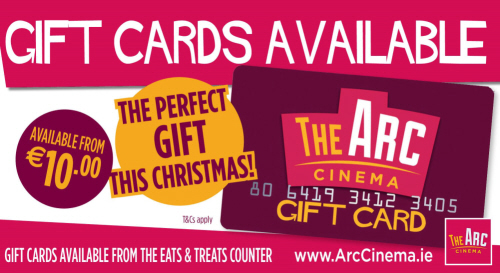 Watch out for upcoming competitions for Arc Cinema tickets in our Newsletter ... the next winner could be you! Looking across the skyline of Drogheda you could not miss the Manley Construction crane that has been in situ since August 2013. Installed to build the new Arc Cinema on the top of Drogheda Town Centre, the crane was the first to be seen in the town for nearly seven years. With the cinema ready to open on 10th July, the familiar site of the crane disappeared from the Drogheda skyline on Sunday and marked the closing stages of this project for local firm Manley Construction. “Whilst we went through a rigorous tendering process, it was also very important to us that a local firm would be engaged for this project. It was great to see Manley Construction from Duleek emerge successful from the bid process and to see such a huge local crew on the job” explained Karen Breheny, Property Manager for Melcorpo Commercial Properties Ltd.
Amanda Corr is the lucky winner of the Drogheda Independent Golden Ticket Winner. She and her son David are huge movie lovers and are thrilled to win the prize which will allow them go to the cinema every single week for six months for free. “There was a huge response to the movie themed word maze competition in the Drogheda Independent last week. People are so excited about the opening of the cinema and the whole town is talking about it” said Alison Comyn, reporter with the Drogheda Independent. Newly appointed manager of the Arc Cinema Shane Faulkner has been busy in the recruitment of his new team. The cinema will employ 3 full-time and 17 part-time staff when it opens on July 10th. All roles with the Arc Cinema team have now been filled. Thank you to everyone who applied and attended for interview. 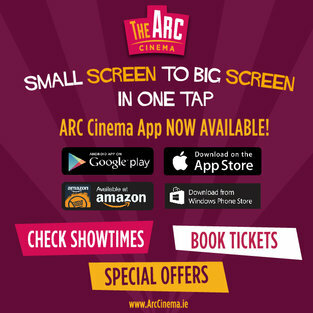 We sincerely appreciate your interest in the Arc Cinema. Local cinema lovers are in for a real treat! 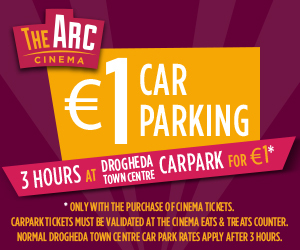 The new 6 screen luxury, state-of-the-art Arc Cinema complex will open in Drogheda Town Centre and the countdown is now on. As the opening date draws near, the new Cinema Manager has been appointed. Shane Faulkner, previously Sales and Marketing Manager with Funtasia, started on June 3rd. With an M.Sc. in Hospitality Management and a decade of experience in the leisure industry, Shane is passionate about customer care. He is also born and reared in Drogheda and is very excited about what this means for Drogheda.